Big Shoulders Fund is an institution here in Chicago. We have helped thousands of students over the years achieve their dreams of a brighter future by providing them a quality, values-based education. We need your help to continue our work for years to come. Leave your legacy, continue your support of our mission and help engage others by making plans to include Big Shoulders Fund in your will, naming it as the beneficiary of a retirement account, insurance policy or other assets. You will become part of our Joseph Society and know that you are not helping only a child today, but thousands for years to come! We invite you to join us. Please consider a confidential, no-obligation conversation to start this journey with us. 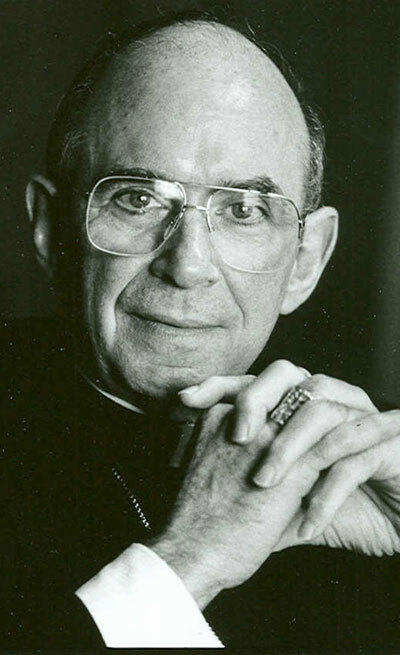 The Joseph Society is named in honor of the late Joseph Cardinal Bernardin who inspired the founders of the Big Shoulders Fund. The society is comprised of supporters who have made a special commitment, through a planned gift, to the children attending Big Shoulders Fund schools in the most challenged areas of inner-city Chicago. We'd love to welcome YOU as our newest member! Through a provision in your written and executed will, you can make a gift in the form of cash, securities, real estate, or personal property. There are many types of bequests. Choose the one that best fits your needs and intentions. Naming Big Shoulders as the beneficiary of a qualified retirement plan asset such as a 401(k), 403(b), IRA, Keogh, profit-sharing pension plan, or other donor-advised funds, will accomplish a charitable goal while realizing significant tax savings. When you donate appreciated stocks, bonds, or mutual fund shares instead of cash, you'll receive charitable deductions at full, fair market value while reducing capital gains impact. There are many giving options available to you. For more information, please find our contact info below, or submit this form. I would like to learn more about supporting Big Shoulders with a planned gift. I have already included Big Shoulders in my estate plans. I haven't made plans for Big Shoulders in my estate, but it's on my to-do list. If you are working with a professional advisor, or advising a donor, here's a handy guide for including Big Shoulders in a charitable estate plan.